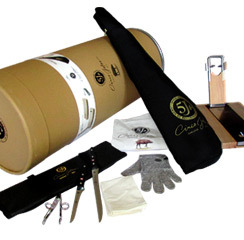 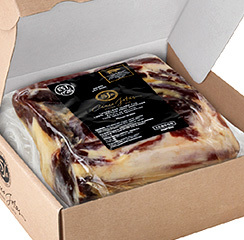 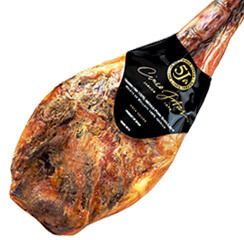 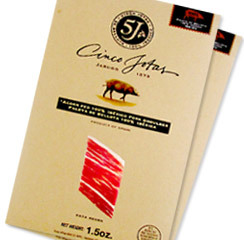 The Cinco Jotas ham is a product of incomparable quality made from the extremities of the Iberian pig bred in the Iberian Peninsula and acorn-fed. 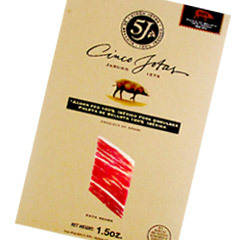 The Cinco Jotas ham has an exquisite aroma and a unique bouquet flavor. 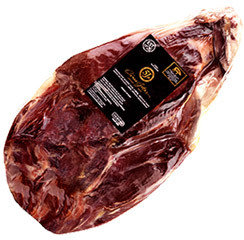 Its cut has a uniform color with multiple bright stripes of infiltrated aromatic fat. 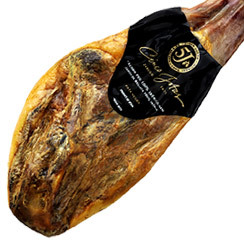 This is the most appreciated Spanish Ham in the world due to its unique taste.